Does not require touching a plastic piece that has probably been touched by dirty hands. Why is the telescoping plastic piece ever preferred? Mostly it's a question of style and consumer habit, so there won't be a tight correlation between preference and technical advantage. That J-hook has a lot of stress on it, mainly because it lends itself much more to being manhandled. If you make it out of plastic, it won't last and will generally be perceived as a slumlord-grade piece of junk. 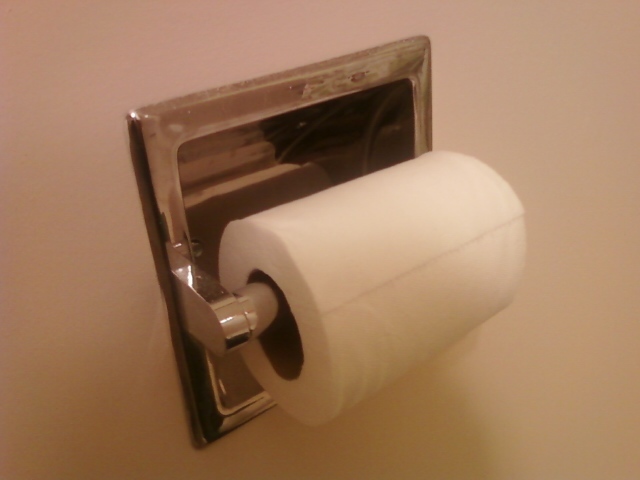 It's a lot easier to make the telescoping roll look respectable in plastic. Given the cost of plastic is freakishly close to zero in million quantity, that's a big factor. As far as cleaning, the hinge on the J-hook is devilishly hard to clean, whereas the spring type can definitely be cleaned well enough to satisfy a white gloved boss/client. The plastic (or metal) telescoping device allows insertion into a closed space. The ultimate result is both more aesthetically pleasing and "out of the way" if the insertion is inset into the wall, as it often is. 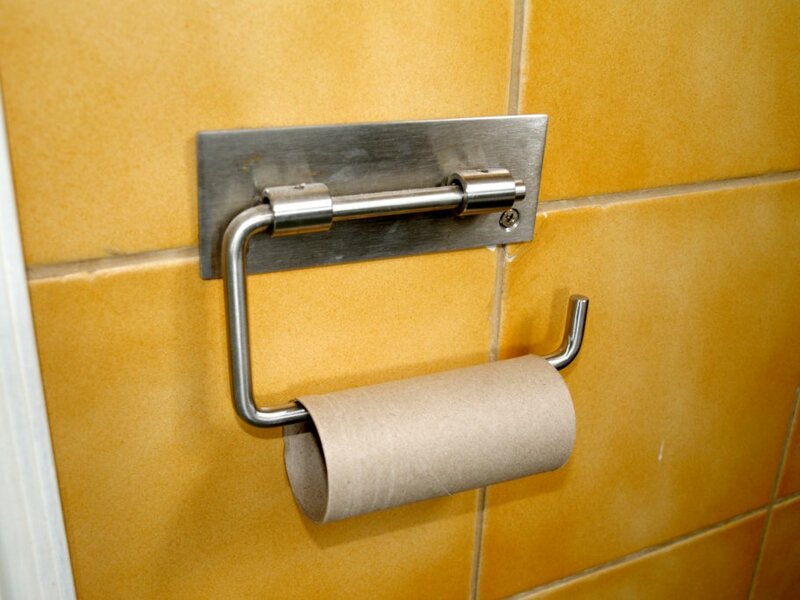 Toilet roll holders that extend out or otherwise are attached and outwards from a wall tend to have the hook and flap system you're talking about, because functionality has been determined to trump aesthetics and space concerns. Cost, for one thing. Consider the cost of machining and finishing that 2nd device, as compared to blow-molding a 2-pc roll holder and sticking a spring into it. Not the answer you're looking for? Browse other questions tagged design physical or ask your own question. Why do most public toilet doors open inwards? Why did packaging for reams of paper change from paper to plastic? Best solution to show the number of comments? Do signs printed on the road offer a significant advantage for the user over signs on a post? Why don't toilet doors also latch and change their status when closed? Why aren't all headphone connectors on the left?